Hey Everybody! 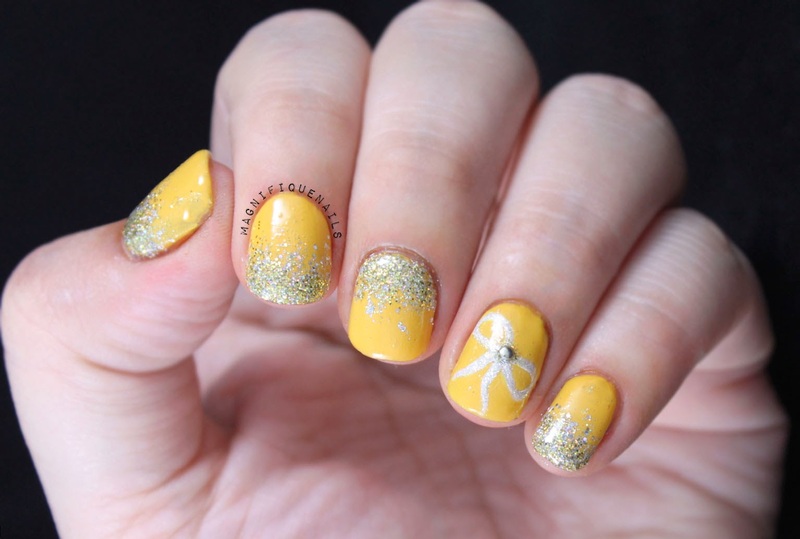 I have another Alphabet Nail Art Challenge nails for you! Today is B for Bow. I haven't done glitter gradient in a long time, so I wanted to accent them with my bow. 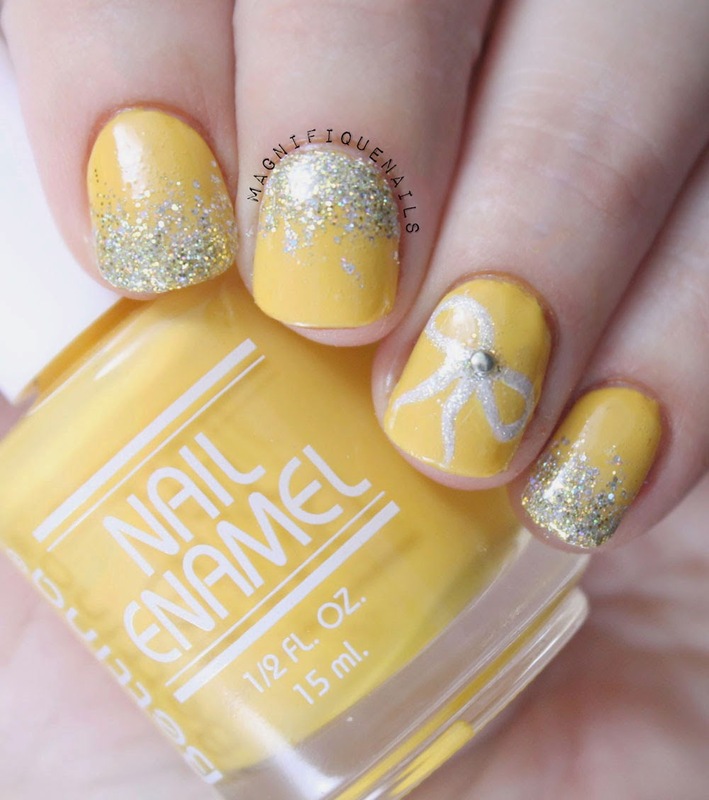 I absolutely love this mani, it is simple and was super easy to do. And how cute is that bow? 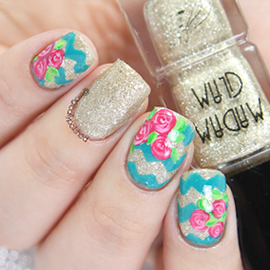 Definitely will be doing this mani again! For the base, I applied two thin coats of Bettina Nail Enamel Sunrise. Once the polish is dried, I used Art Club stripper brush White to draw the little bow. With a nail art brush, I then used Layla Cosmetics Softouch 02 to give the bow a little shimmer. I then added a round stud, to make the bow "pop", you can purchase the studs in Born Pretty Store. For the gradients, I simply used Floss Gloss Stun (love, love this glitter). 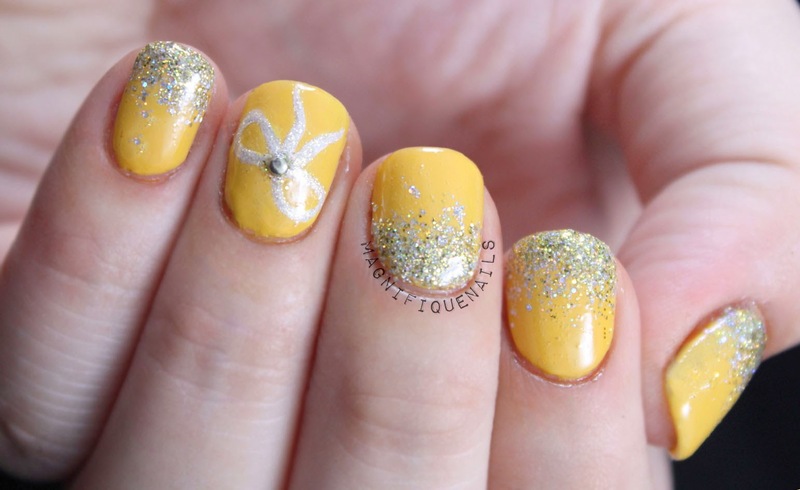 I first applied one coat of the glitter on the top or bottom of the nail. I then, applied the second coat of glitter half way up the first coat. Finish off with one coat Out the Door Top Coat.